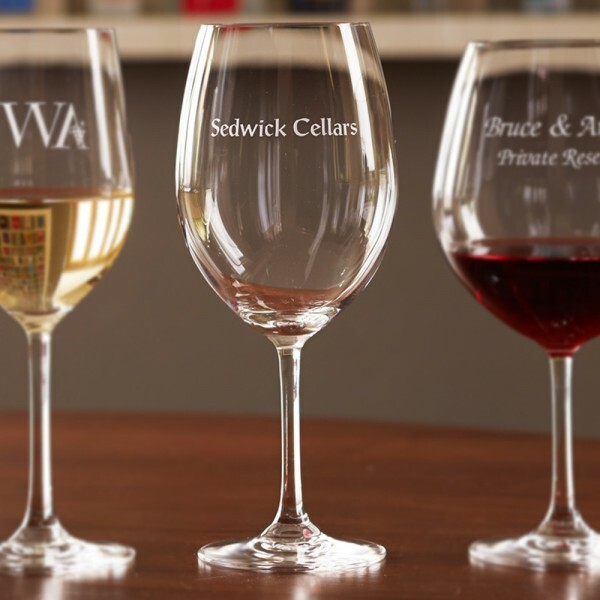 Price includes 2 glasses, with sandblasting of your name, special date and/or personalized message to create the ultimate gift. If using the Copperplate font choice, 3 character maximum. For Antique or Zurich fonts, personalize up to two lines of 25 characters each. Personalization includes sandblasting your name, special date and/or personalized message to create the ultimate gift.